Visiting the Chengdu Research Base of Giant Panda Breeding during our China odyssey was definitely an amazing experience. The Chengdu Panda Base, founded in 1987, is a non-profit research and breeding facility for giant pandas and other rare animals. It started with 6 giant pandas that were rescued from the wild. By 2008, it had 124 panda births, and the captive panda population has grown to 83. The pandas are most active early in the morning so the earlier you can get there the better. We arrived at the base just before 8am well before feeding that takes place around 9.30am. 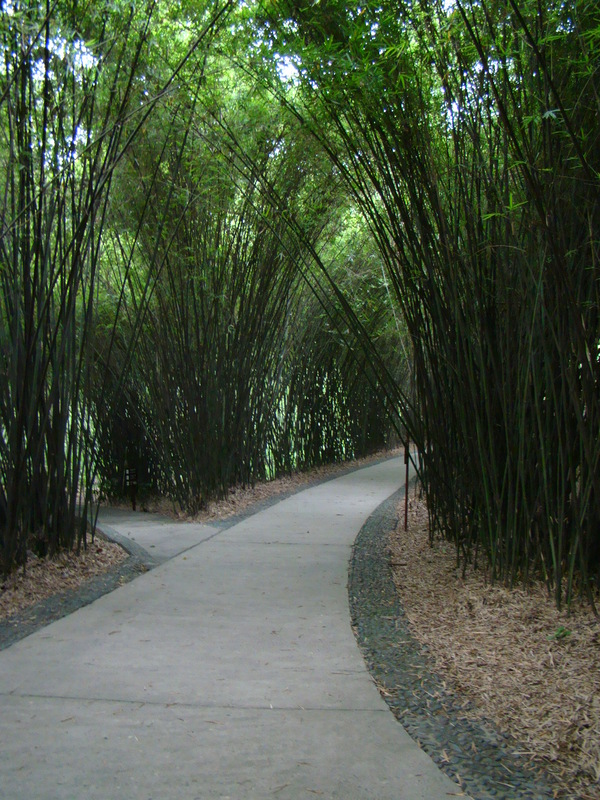 Walking through bamboo covered lanes we arrived at the main pen just as morning feeding was about to start. They are so lazy that they actually prefer lying down while eating! The huge and very slow moving pandas made their way to the freshly packed bamboo where they proceeded to either sit down or lie down and eat as much as they could. They were quite content lying on top of each other as long as they were able to reach the bamboo. 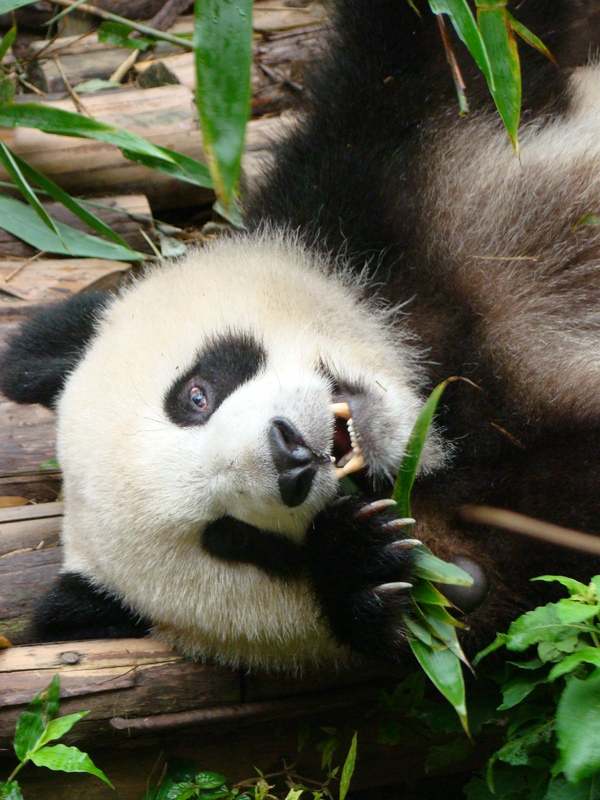 Though Giant Pandas belong to the order Carnivora, the panda’s diet is 99% bamboo. During the middle of the day they spend most of their time sleeping, particularly during the height of midsummer, so we were quite lucky to be there in the morning and see them at their most active. You could pay and get to actually hold one of the panda cubs if you really wanted to. Ah, I really thought it was a fluffy red raccoon! At first glance I nearly mistook the red panda for a fox or raccoon! This was my first sighting of these little creatures and I expected them to look a bit more like the Giant Pandas in build. They looked so cute and cuddly!! 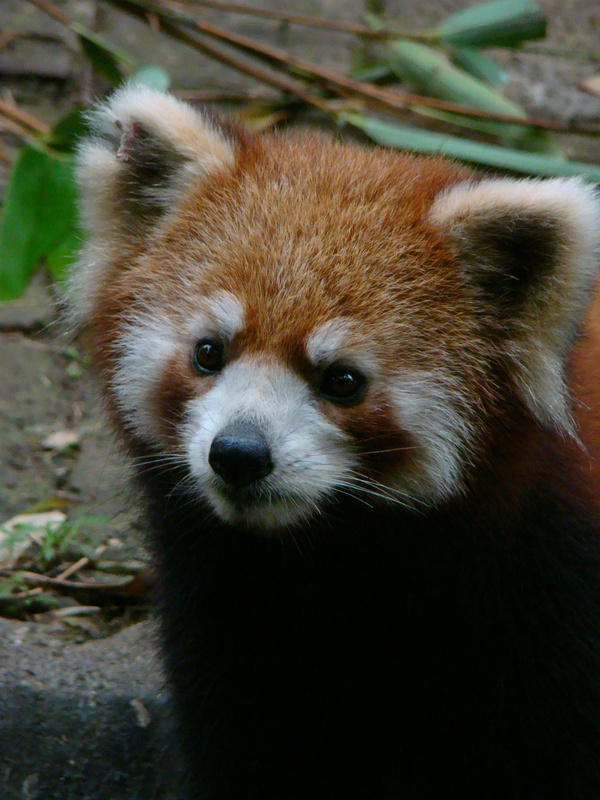 The red panda is slightly larger than a domestic cat. It has reddish-brown fur, a long, shaggy tail, and a waddling gait due to its shorter front legs. It feeds mainly on bamboo, but is omnivorous and also eats eggs, birds, insects, and small mammals. We were quite lucky in that we also got to watch the feeding of these cute little red pandas! Just look at that cute face! Its hard to believe that biggest threat seems to these cuddly looking creatures are hunting and poaching. I cant believe that people would want to kill them, they are so beautiful! 37 Responses to Getting up close to Giant Pandas and introduced to red pandas!! Those pandas are so cute! I’ve never seen red ones before. Some of the people in our group did it. They had to dress in sterelized suits and then got to hold the baby panda for a couple of moments while someone took a picture. What fabulous photos! How very cool. I saw a panda in the Berlin Zoo way back in 1988 but yes, he was sleeping and very boring. How lucky you are! Thanks so much for stopping by my blog! Thanks Gretchen! I can imagine its a bit of a disappointment seeing them later in the day when they are just lying around and not doing much…..
yeah, a pile of black and dirty-white fur! Thanks Amy Lynne. It was a fabulous experience and the research base with all its bamboo forests is such a beautiful place. If you ever tour China visiting the pandas should definitely be on your agenda! I love the closeup of the red panda! Great post. Thanks!! They are such adorable creatures! I agree Jo…I took so many photos of that little guy, he was my own personal model that morning!! Great photos, what a fantastic place to visit. Thanks Hayley! It is a wonderful place and I would definitely recommend it if you ever have the chance. Thanks Amy!! We were quite lucky that we were able to see the giant pandas and the red pandas having breakfast! That is the time of the day when they are the most active. Love these pictures of Panda bears. I had not seen red ones and in one of the pics they look like red pomeranians! Thanks, it was the first time that I had the opportunity to see red pandas….at first glance I definitely thought that they were red raccoon s or something. We were there in 2012, and my husband and I are panda lovers 😛 , they just look so cute and adorable. Those are very nice pictures you took and thanks for sharing. Have fun in China. Did you try spicy fish? I know you must had Roast Duck, but you got to try the spicy fish, especially in Chengdu. Have fun! It was an amazing day! Yes we definitely tried Roast Duck but unfortunately I don’t eat very spicy food so trying the spicy fish is not an option for me. I could maybe persuade my mom to try it seeing as she eats spicy food…..
Great pics! I bet it was an awesome experience!! Thanks! It was an amazing experience! I had never before seen a red panda and this was such a lovely experience. They are just the “right size” to cuddle and have as pets I think….would love to have one they are so adorable. Wow, what an amazing experience. They are adorable aren’t they? Definitely some of the most adorable creatures that I have ever seen!! I just wanted to pick one up and cuddle it!! …and then take it home with you?!! I would be very tempted to “kidnap” one!! These pictures are stunning! What beautiful animals! Thanks Kristen! They are definitely very beautiful creatures! I took way too many photos that morning but I just couldn’t take my eyes of them. Thanks Sonel! They were so cute and looked so trusting and docile that I can imagine they are quite easy targets for poachers….so sad. Thanks!! I had such an amazing morning with these beautiful creatures!